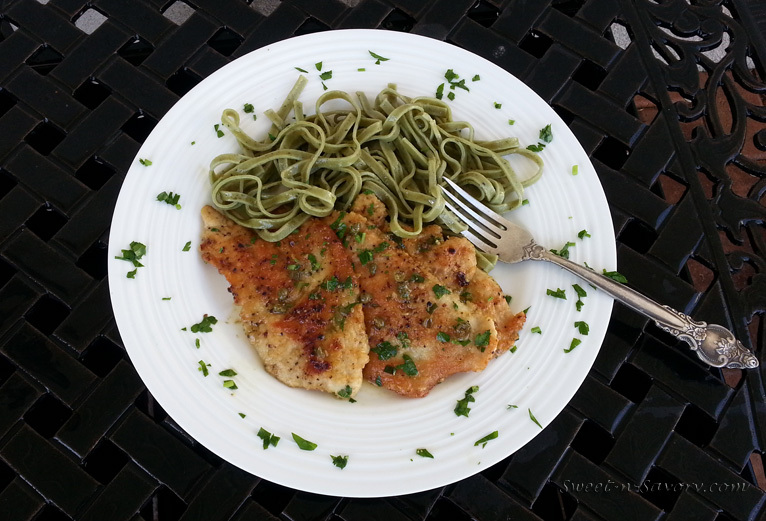 Chicken, turkey, veal or fish picatta are often featured in my house on busy nights, and are a welcome dinner both for myself as a cook and for my family as patrons of “Lara’s Bistro”. Add the wine into the same pan and cook until all but about 3 tablespoons of liquid remain. Add broth and lemon juice to the wine and bring to simmer. 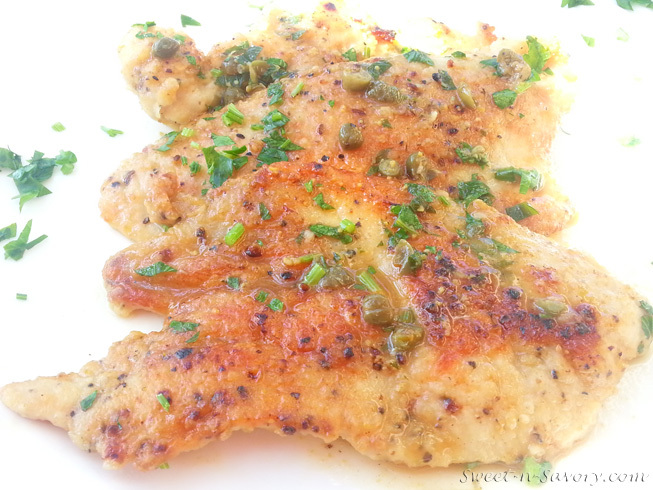 Add the chicken cutlets back to the pan, add capers. Cover the pan and cook for about 10 minutes. Add parsley and serve spooning sauce over the meat.